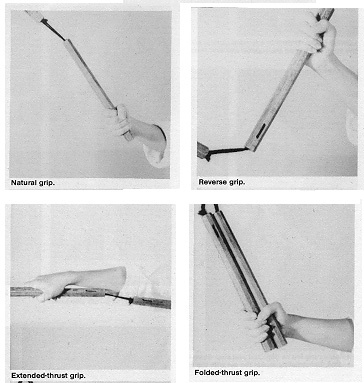 These photos present an overview of Grips for the Nunchaku. 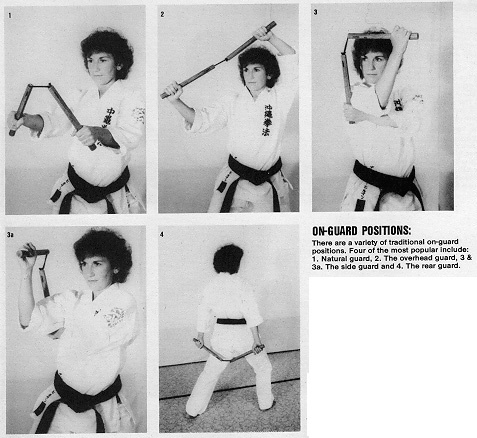 This photo set shows various On-Guard positions with the Nunchaku. 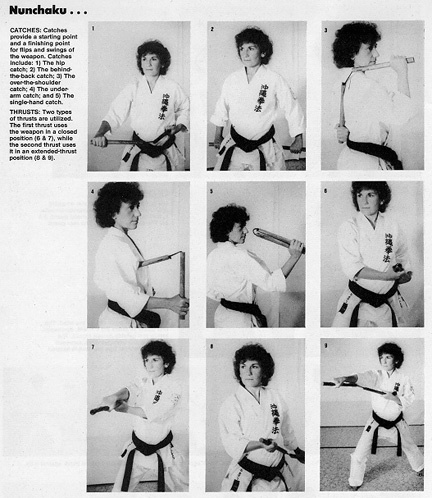 This set of photos presents Catches and Thrusts with the Nunchaku. 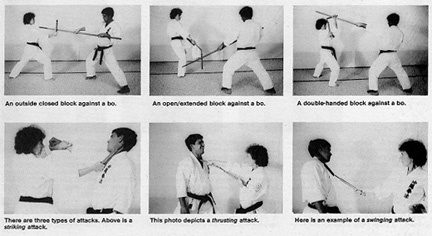 The final photo set presents some basic applications against an armed and unarmed oponent.